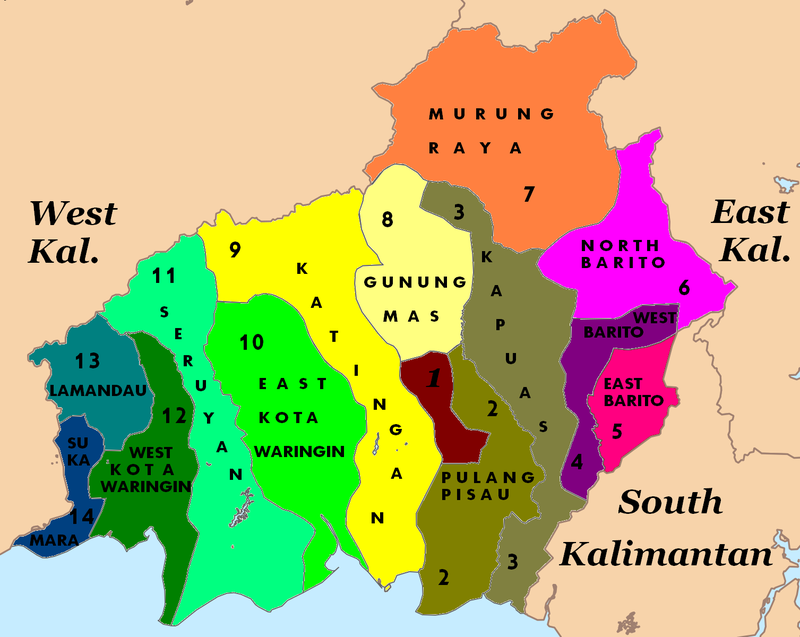 Central Borneo or Central Kalimantan is one of the province and the 3rd biggest island in Indonesia. Geographically in Central Borneo is 153,564.5 km2, about 1.5 times the size of the island of Java. It is bordered by West Kalimantan and East Kalimantan provinces to the north, by the Java Sea to the south, by South Kalimantan and East Kalimantan provinces to the east, and by West Kalimantan oprovince of west. Native people are Dayak Tribe and a lot of the sub Dayak tribe in Central Borneo. The Major sub Dayak Tribe is Dayak Ngaju,and Maanyan. The province’s climate is wet weather equatorial zone with an eight-month rainy season, and 4 months of dry season. Rainfall or precipitation is 2,776 – 3,393 mm per year with an average of 145 rainy days annually.